A new game has just been released by ERS Game Studios into their Spirits of Mystery series. 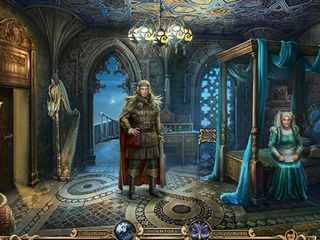 Spirits of Mystery: Family Lies Collector's Edition is about to challenge you to protect your kingdom, but also to learn some of the sercets of your family if you have the courage for that. 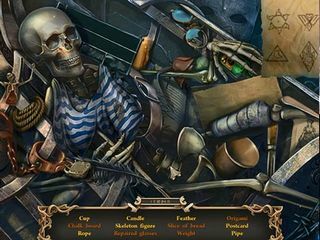 There are four modes of diffidculty in this game as is usual for the hidden object puzzle adventure games: Casual, Advanced, Hard, and Custom. You are a princess of the kingdom that finds herself in a position of someone who bears the responsibility to save the kingdom from an attack. The attack brought a great number of mysterious plants into the kingdom. You are now to find out a secret from the past to rescue your family and not let the enemy that urges revange to break it apart. It is a fairy tale story that will be great for children as well for adults. The game's graphics and audio of the game are not incredibly impressive, but not terrible either. The scenes are a little dark and smoky, which is good for the not so happy story. There are four modes of diffidculty in this game as is usual for the hidden object puzzle adventure games: Casual, Advanced, Hard, and Custom. The hints and skips are adjustable form 5 to 200 seconds. A map and a strategy guide are provided as you play the game. 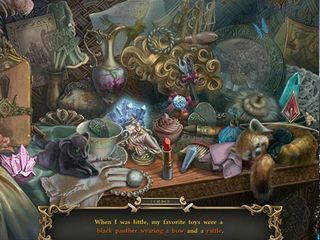 The hidden object scenes outnumber the puzzles. The latter seem to be quite easy (fitting perfectly for the kids that don't have enough skills for the harder challenges). The HOP scenes vary in the kinds of search lists and scenes structure. There is one kind of collectibles. You need to find and collect all the pearls you can to perchase items for your collection. You get to use a family amulet that helps you get rid of the thorny brenches all over the place. Check out this fairy tale-style hidden object puzzle adventure game for yourself for your little ones. This is Spirits of Mystery: Family Lies review. Download this game here.